We care about you. Our customer service emails are checked several times a day to solve your issues and answer your questions as quickly as possible. Our office hours are 12:00PM EST to 7:00PM EST daily. Privacy Notice: Any information obtained from our users or clients is held in the strictest confidence. Las Vegas Sports Insider will never sell, trade or divulge any information obtained from this website. Las Vegas Sports Insider is a full featured sports information service. We specialize in only one sport – Major League Baseball. 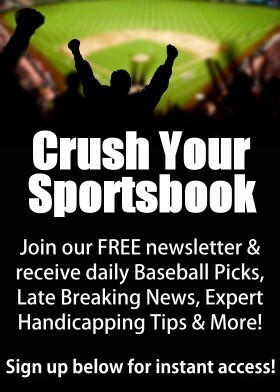 We also feature baseball handicapping information, baseball predictions, baseball picks, MLB picks, sports betting advice, matchups, statistics, lines, odds, scores and more. The information contained at this site is for news, entertainment and amusement purposes only. Any use of this information in violation of any federal, state and/or local laws is strictly prohibited.